Old issues of hometown newspapers may contain some interesting news and human interest items about the locals. I noticed a regular “Chattanooga News” page in old issues of The Willshire Herald as I looked for obituaries in that local newspaper. I find these old issues on microfilm at the Van Wert County Library. The Willshire Herald, a weekly newspaper, is now called The Photo Star. Willshire is about eight miles north of Chattanooga, Ohio. The “Chattanooga News” feature, with a sub-category of “Just for Fun”, seemed to be particularly popular in the 1930s. The “Just for Fun” column was a bunch of little items about the people of Chatt and what they were doing each week. My dad thought that Carl Schroeder, and maybe his wife Marcella, provided the information to the newspaper. Carl and Marcella Schroeder went to our church, Zion Lutheran in Chatt, and they were both school teachers. In fact, Marcella Schroeder was my second grade teacher. Carl was also a barber in Chatt. 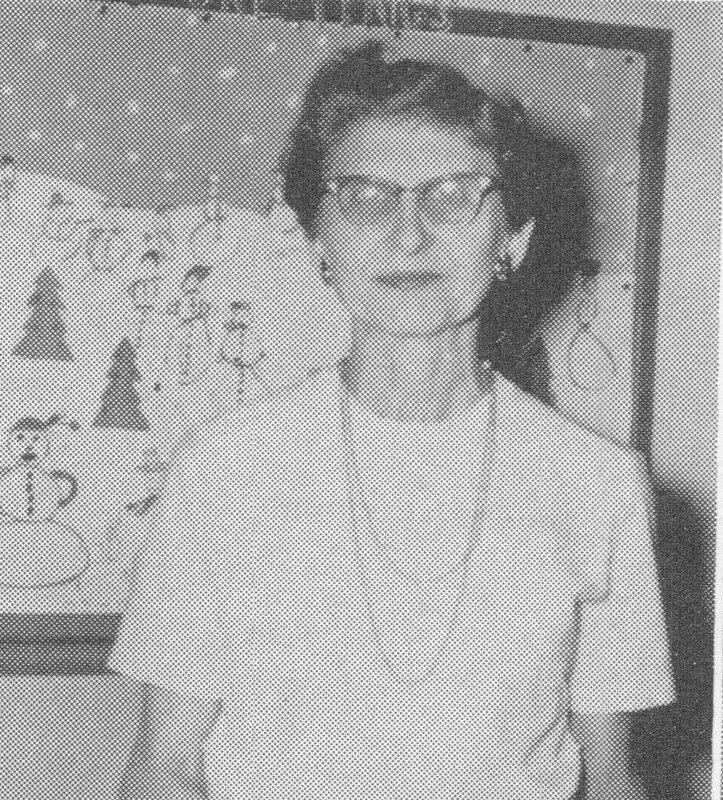 Marcella Schroeder, second grade teacher and most likely Chattanooga reporter for The Willshire Herald. These little items tell a little about the people in the village of Chattanooga—what they did for a living and what they did in their spare time; their sense of humor and the fun they had in their close-knit rural community. There most likely is a story behind each little item. All of the following items are from issues of The Willshire Herald during the Great Depression. I’m sure they all enjoyed some humor during that time period. Ivan Johnson and Hod Becher were favorites and were mentioned nearly every week. 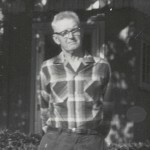 Ivan (1892-1969) ran Johnson’s Garage and I remember my dad talking about him. Odas L. Becher was nicknamed Hod Becher (1901-1971). They must have been a pair of real characters! Did Hod Becher know some of my Brewster relatives? What did the Chattanoogians do in their spare time? Just who was Chattanooga’s “Justice of the Peace”? It seems Charley Carr was called the JP. It looks like the citizens of Chattanooga had a lot of fun, even during the Depression Era. Vivian Carr was a cousin to my Grandmother Kathryn Black who was a Carr before she married. Very interesting. Hi Brian! Yes, that certainly is interesting. It is a small world. Wow! I was not around in the 30s, but that description of Chatt sure fit everything I remember from the 50s. The picture of Mrs. Schroeder was great. She looked the same in the 50s. Sure hard to imagine her serious, hard driving personality ever being responsible for a news sections in the Willshire Herald, especially one with humor in it. Lots of memories of Ivan Johnson and Jack August also. They were really good people. Thank you for finding and sharing that information from the Old Chatt. 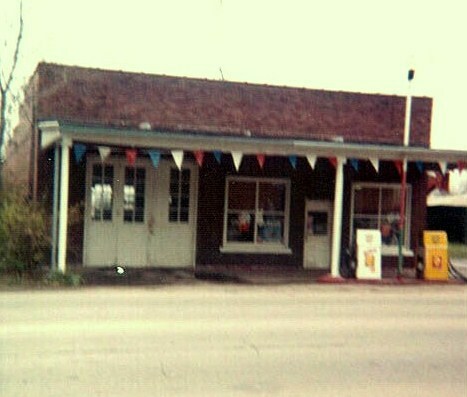 My brother and I were counting the businesses there in the old days: Wendells, Bollenbackers, the bar, the blacksmith, Andrews Sawmill, Fishers John Deere Dealership, the poultry business (we sold eggs there regularly), the fire dept., etc. My brother even ran the projector a few times for the movies shown on the side of the Wendells Garage, with everyone sitting around on the grass. A little different than Chatt today. Thanks for sharing your memories of Chatt! I remember that Jack August fixed our TV. And Marcella directed our church choir for a while. I remember my dad telling me that he and my mom went on one of their first dates, if not their first one, to the outside movie in Chatt. Prior to November of 1956 when they were married. You are the second person to mention the outdoor movies at Chatt. I knew they had them at Willshire but I did not know about Chatt. Thanks! Neat stuff…picture of my Dad (Gene Duff) that I have never seen. I was three years ahead of you and my sister, Linda, a year behind. Did you know Chatt had a lighted baseball field? 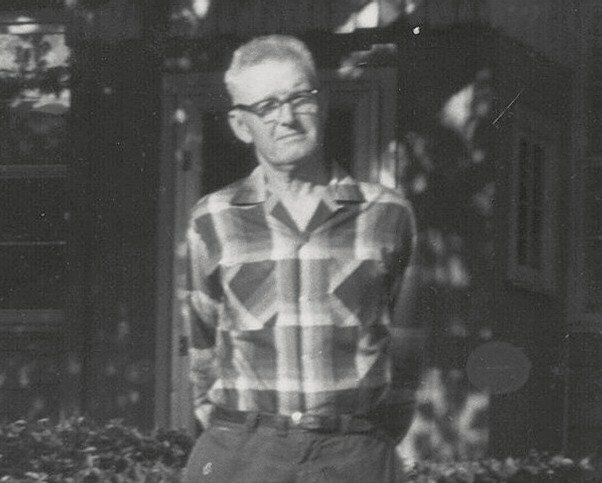 My grandfather, Jacob Duff, was the town barber for a time. My great grandfather, James Madison Duff, was a part founder of the Chatt Me Church. And my Aunt Meadie was a real firebrand there. What fun you site is….suggest you contact the only remaining member of the 1939 Willshire Bearcats (went to state 2 years in a row)…except I can’t remember his name. Oh yeah, Bob Miller. I have pictures of that team. (Jack August was on it as well). And the famous Phiffer Girls reside at Otterbein in St. Marys. Both are still (90s) and still quite fun. 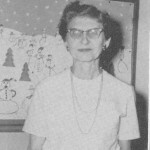 The Ivan Johnson mentioned above was the sister of our mutual relative Minnie Johnson Kallenberger. I needed a picture of him, too. Thank you! Interesting connection. Can anyone elaborate on the relationship between Minnie Johnson Kallenberger and the Gappa/Byer family? Minnie Kallenberger Johnson is the granddaughter of Christena Anna Byer Foreman Johnson. Christena’s brother was Johann Jasper Byer. Jasper was my great greatgrandfather. When I work the family tree, I work all five children of Johann Michael Byer and Catherine Dorothea Popp Byer so that means I’m always looking for photos of family members. If you’re on the Byer tree, I’d love to talk to you. Minnie was my Aunt, though I never really knew her as she passed away before my time. My mother always spoke very highly of her, though Mom was not kind with any word about her husband, Wes (my father’s adopted brother). Her children were essentially farmed out to other family members after she died and Wes joined the military. Although Wes married again and had more children, the children from his first marriage remained with their “adoptive” families, I believe. Max (his oldest, I think) remains close with my older brother, but again, I was too young to really have much recollection. Thanks for responding. If you have any extra photos of Minnie, her husband, or her children that you’d like to share, I’ll definitely take them. Thanks, again. There are certainly pictures of Minnie, Wes and the kids in the old photos pushed in a box somewhere. I recall seeing them on several occasions. They are probably similar to what Karen has (seems some are even posted here if I recall correctly, but mostly of Wes). The kids were similar in age to my older brother and sister (much older), and hung out at “grandma’s” house pretty regularly, therefore ended up in pictures with them. Guess I should digitalize those old photos, but not likely in the near future. Will certainly try to keep in mind that you are interested should they get drug out and there is a way to get them to you over the system. Given Wes’ unpopularity with our family, I am surprised that they survived, actually. Then, Minnie was never really considered in the same light, or the kids for that matter. Max and Bud are still relatively close even now. In fact, Max has a great deal of family information as he works hard at the family tree, etc., so he might be an ideal source for more information. Unfortunately, I am not sure where he is right now. He was in Nevada, then moved to Tenn., but didn’t like it and quickly returned West, either Calif. where he has a daughter or Nevada where he was very comfortable (I am told). The movies I remember were out in some grassy area, and if memory serves, were projected on a white screen standing by itself in the grass. 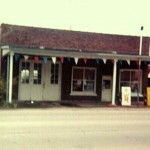 Dad took us there to watch westerns and comedies. We always came early, and waited impatiently for it to get dark. Dad always brought a chair, but we kids sat in the grass. I don’t remember any movies shown on the side of a building. This would have been in the 1950s, also. Anybody remember these? They may have been shown on Saturdays, but it could have been any week-night because it was summer. Thanks for sharing your memories. So interesting!